Little Bridget Jewelry/ sterling silver & semi-precious gemstones. 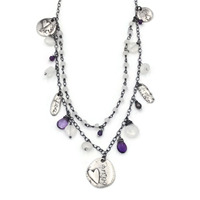 Karen has been designing jewelry for 19 years and strives to create designs that will motivate positive change. 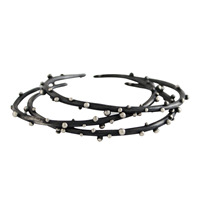 Our beautifully designed jewelry is perfect for the financially, socially and fashionably conscious customer. 5% of sales go to organizations that support equality. 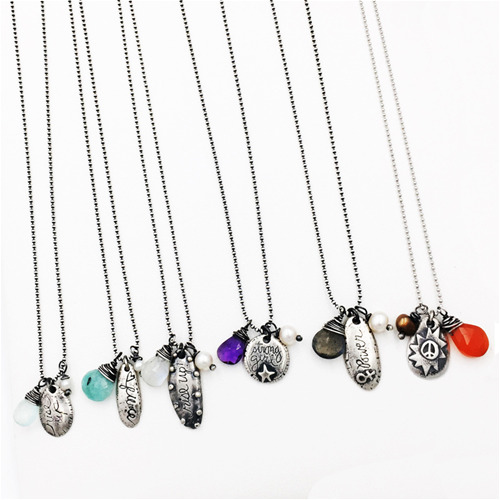 Little Bridget Jewelry is passionate about equality and donated 5% of profits to organizations that support equality. 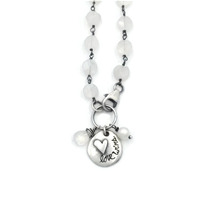 We also have pieces of jewelry that subtly incorporates the message in a fashionable way. 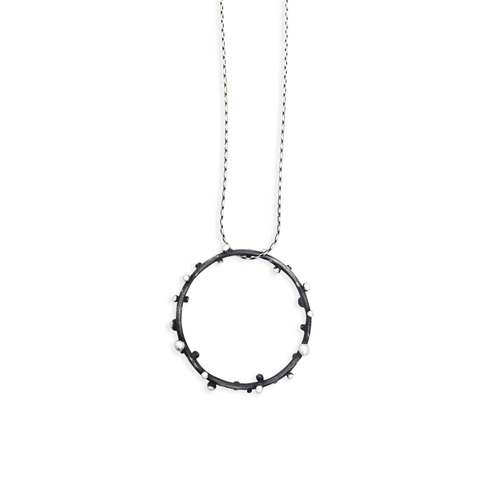 The Circle Dot is another piece of our dot collection. Little Bridget Jewelry cuff bracelet. Bracelets with a hand carved message. 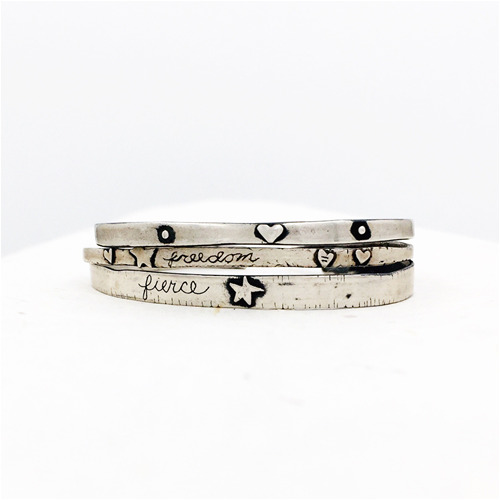 Fierce, Freedom and the heart bracelet says be sen brave girl inside. Sterling silver and semi-precious beads. I make all of my original pieces out of PMC or carved wax.